Affordable, modern and sleek – these fun bands accentuate your engagement ring and allow you to have a new look every day. 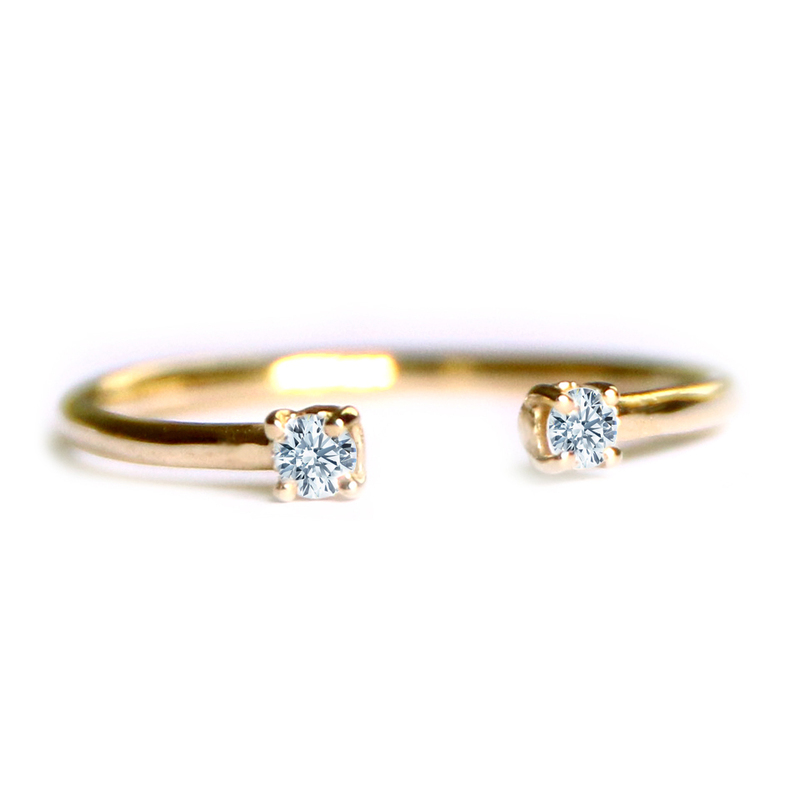 This is our take on the stacking engagement set – everything here is available in 14k or 18k yellow, rose or white gold as well as platinum – and can be customized in any way. Starting at $299. Please browse some of the rings below and get in touch at info@makehersayduh.com to see how we can make these work for you! All of these are set in 14k gold, but we can customize them to 18k or platinum. Everything pictured can be customized with other gems or metals. 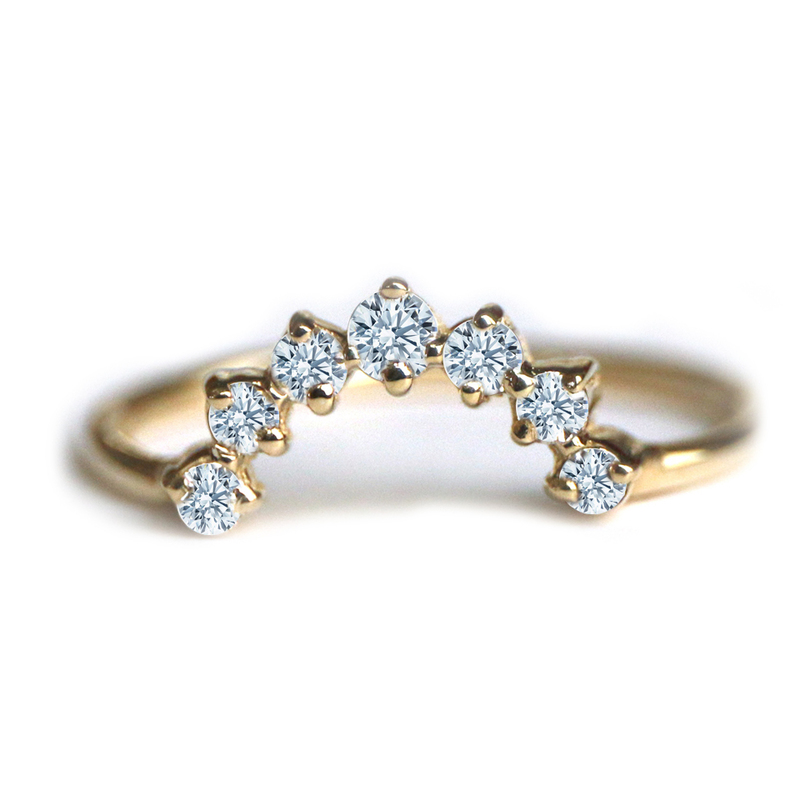 A delicate half moon diamond ring for stacking, wear alone, or paired with an engagement ring. 7 diamonds that range in 1.8mm – 2.2mm. 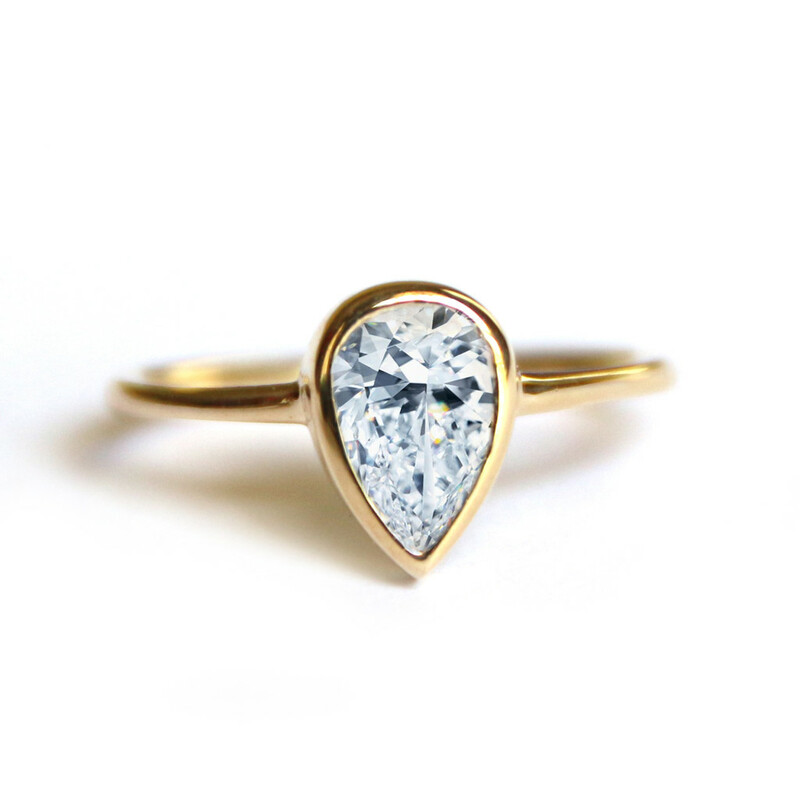 A beautiful, delicate bezel set pear engagement ring! For stacking or wear alone. 0.50ct center stone or bigger, I Color or better, I1 clarity or better. 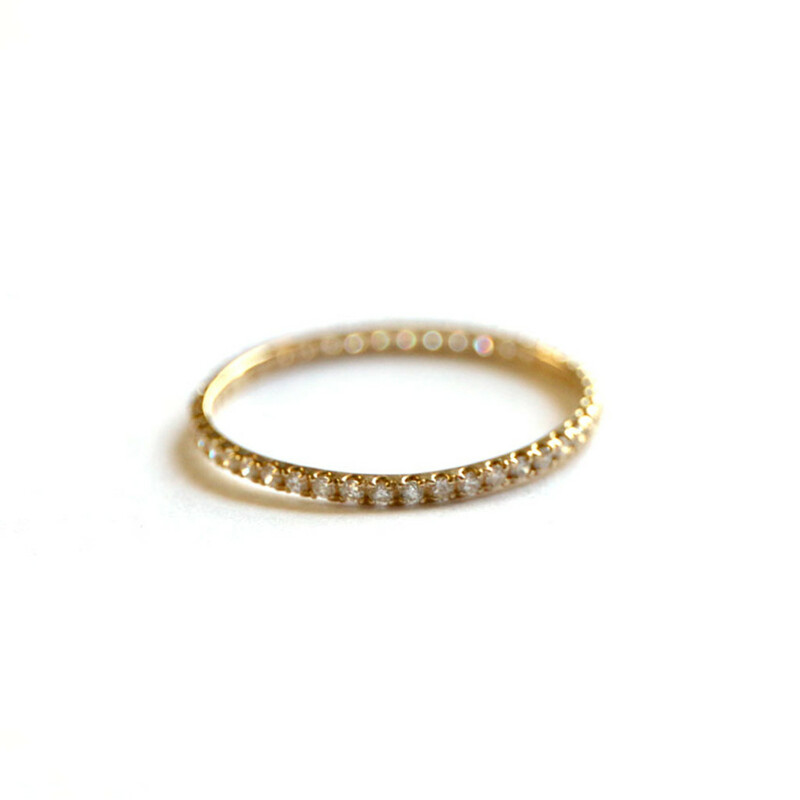 Two diamonds set on either side of this modern, stacking ring. Fits great with a pear or on it’s own. 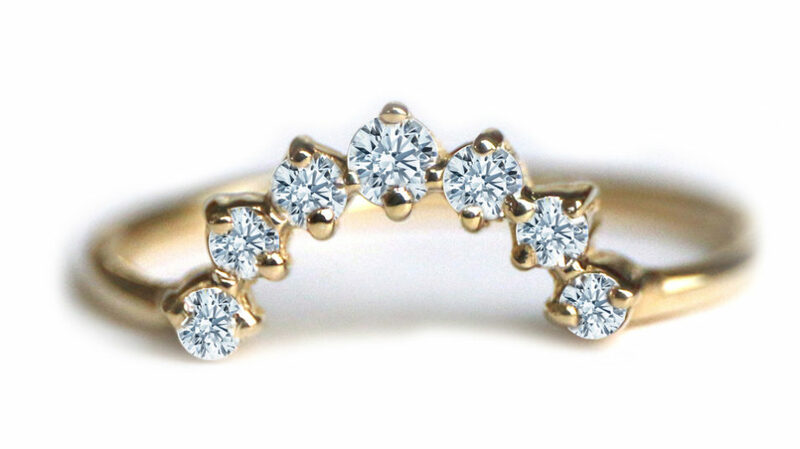 14k gold setting with diamonds all the way around. 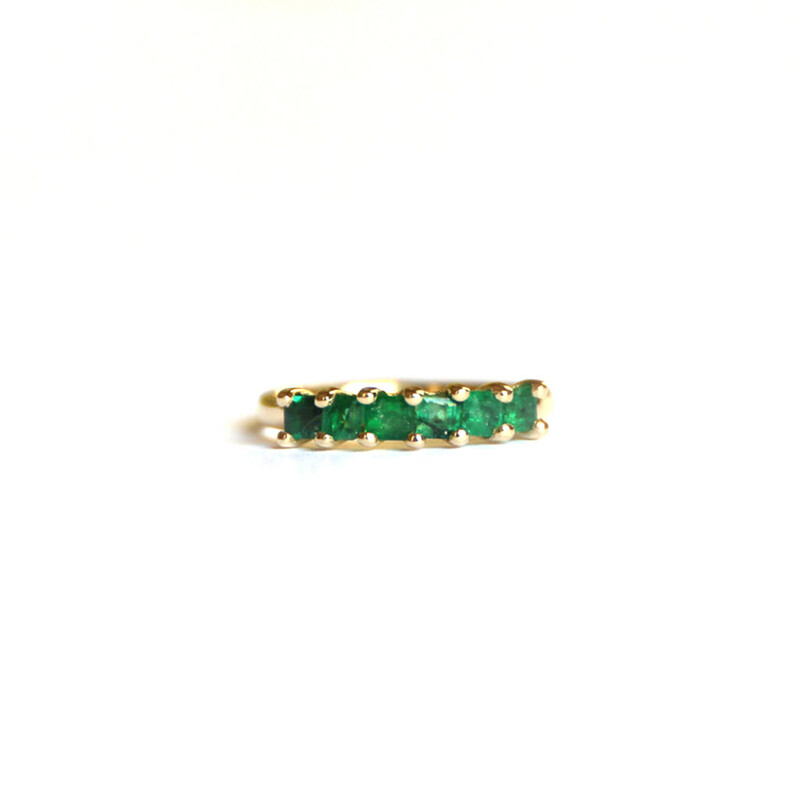 Half eternity band of 6 emeralds set in 14k Gold. Get in touch at info@makehersayduh.com or 323.892.1384 if you’re interested in getting started on your own personalized stacking ring collection! 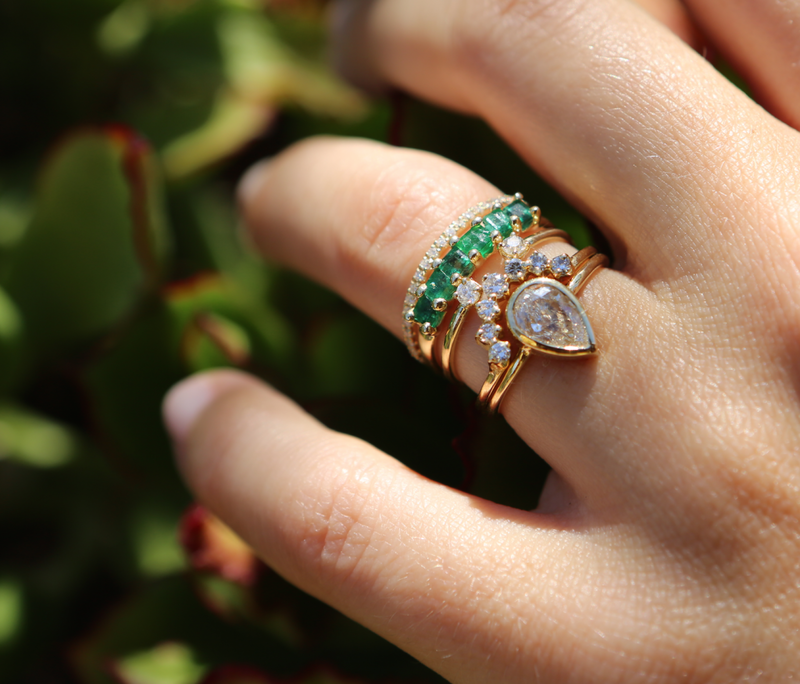 Hi there, I am interested in both the crowned and besel set pear rings. Could I get a price of both? Just simply needed to mention I am delighted that happened. I love all the jewelry your design!